Not that this should come as much surprise, but I have always been a fan of theatre. Whether it be plays or musicals, I’m always game to go be apart of an audience and experience the wonders of the stage. Some of my fondest memories are going to see productions of Les Miserables, Spamalot and Wicked with my sisters (you guys rule!). I’m a huge fan of seeing live music too! 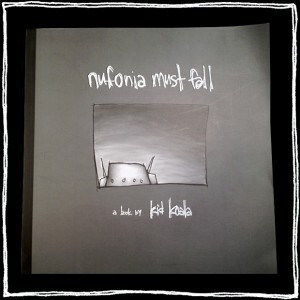 So it’s no wonder that when I heard Kid Koala was going to be performing a live adaptation of his graphic novel Nufonia Must Fall at the Hult Center in Eugene, Oregon I didn’t hesitate to round up a group of my favorite creative peeps and reserve our seats for this once in a lifetime show! This may seem just like a fun night out with friends but when you work in a creative industry it’s important to not only support the arts but also immerse yourself in creativity. What makes Nufonia Must Fall such an innovative catch-all? Because it incorporates a variety of creative outlets working together, and it’s all live on stage! In 2003 Kid Koala, a world renowned scratch DJ, producer and graphic novelist, published the 350 page silent graphic novel. It’s about an out of work robot and a lonely office girl. With the help of director K.K. Barrett, a team of master puppeteers, cinematographers, set designers and music from the Afiara Quartet, audiences get to see the story unfold on stage. What makes this production truly unique is that audiences get to watch the silent graphic novel unfold on stage while it is instantly translated onto the screen. 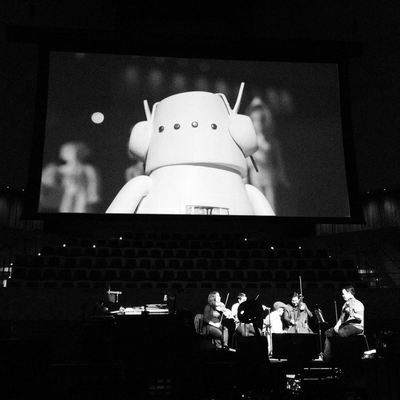 The puppeteers move the story along on miniature sets as the Afiara Quartet and Kid Koala set the mood and tone as each scene is instantly edited and projected on the screen. The uniqueness of this performance allows audiences to become immersed in the elements of production or lost in the story. Essentially, it is a live movie played out on stage. But we cannot forget that the true story lies within the characters, and in the end Nufonia Must Fall is a love story above all else. 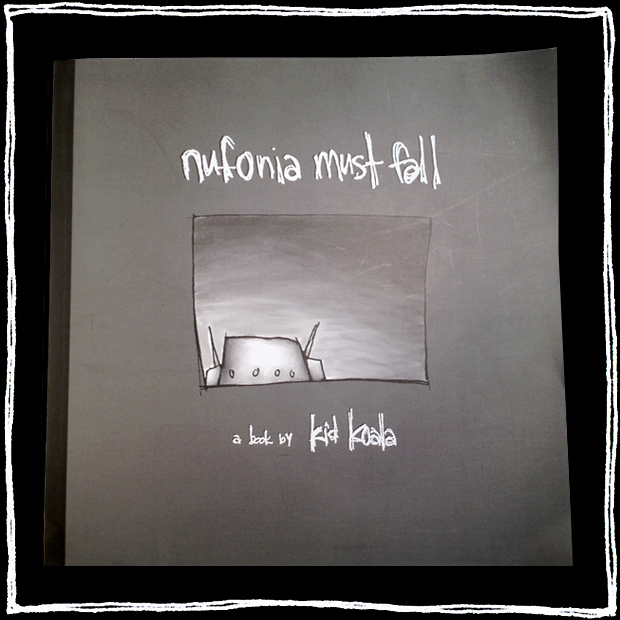 I’m so excited to get inspired with Nufonia Must Fall with such a creative bunch and awesome group of friends! Among us attending will be a graphic designer, the everyday artist, sculptor, cinematographer, writer, theatre goer, musician, and lover of the arts. The team here at Hatchbytes will make sure to fill you guys in on the inspiring events of the show! Or, you can do one better and purchase tickets for the April 22nd showing at the Hult Center and experience the magic of Nufonia Must Fall first hand.